On 31 May 1443, Lady Margaret Beaufort was born at Bletsoe Castle in Bedfordshire. She was the daughter of John Beaufort, duke of Somerset, and Lady Margaret Beauchamp. Through her father, Margaret was a descendant of Edward III. Less than a year after his daughter's birth, the duke of Somerset died in suspicious circumstances while on campaign abroad. Some of his contemporaries believed that he had committed suicide, a heinous sin in the eyes of fifteenth-century individuals. Margaret probably did not learn of her father's death until she was older, but the knowledge that he may have killed himself would have brought shame and dishonour both to herself and to her family. Shortly afterwards, Margaret's wardship was granted to the king's favourite, William de la Pole, first duke of Suffolk. As the heiress to her father's fortunes, Margaret was a highly valuable commodity. 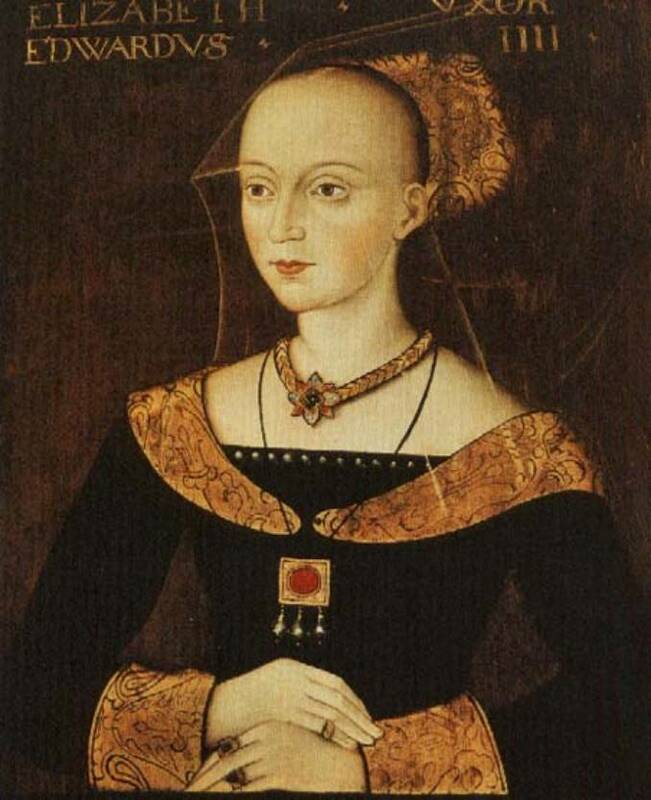 In early 1444, when she was less than three years old, Margaret was married to the duke's son John de la Pole. Occasionally, highborn children were married while still in infancy. Later, Edward IV's son Richard married Anne Mowbray when he was four years old and she five. Other evidence indicates that Margaret may actually only have married John in 1450, the year in which Suffolk was murdered. Irrespective of its date, the marriage was annulled in 1453 and Henry VI granted Margaret's wardship to his half-brothers Edmund and Jasper Tudor. Above: Edmund Tudor, earl of Richmond. On 1 November 1455, when she was twelve years old, Margaret was married to the king's twenty-four year-old half-brother Edmund Tudor, earl of Richmond. Usually when girls were married at a young age, consummation of the marriage was delayed until a later date. Edmund, however, elected to consummate his marriage immediately. At the age of thirteen, Margaret fell pregnant. Her husband, however, was not to learn the outcome of her pregnancy, for he died while in captivity at Carmarthen in November 1456, perhaps of plague. 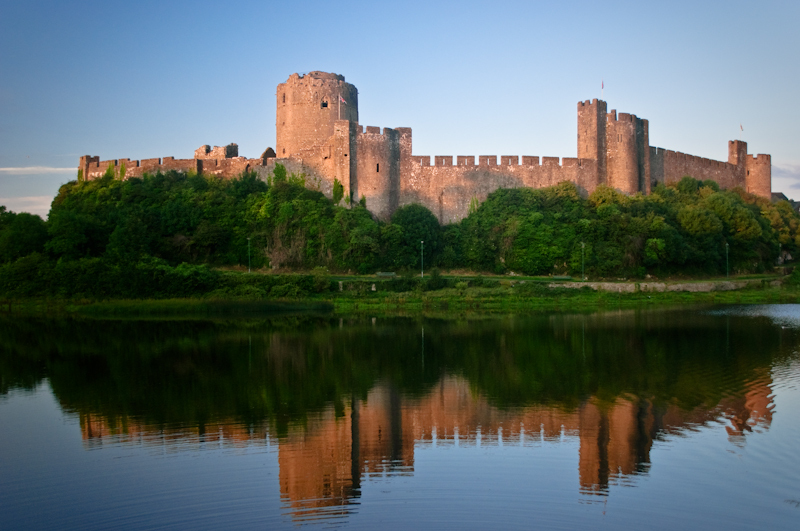 Two months later, his widow gave birth to her only child, Henry Tudor, at Pembroke Castle. Evidence suggests that the birth was a difficult one, and Margaret may have been physically and mentally scarred by the experience. A year after the birth of her son, the widowed countess remarried. Her husband was Sir Henry Stafford, son of the duke of Buckingham. Evidence suggests that their marriage was a happy one. Above: Pembroke Castle. Margaret gave birth to her son Henry there. In 1461, the castle was captured by the Yorkists, and the infant Henry was placed in the custody of William Herbert, earl of Pembroke. Henry later departed for the Continent in the company of his uncle Jasper. The year her son departed for France, Margaret's husband died at the Battle of Barnet. 1471 was a tumultuous year. The Lancastrian king Henry VI was probably murdered in the Tower of London by the victorious Yorkists, and his only son Edward of Westminster was slain at Tewkesbury. Margaret, whose status had naturally inclined her to support the Lancastrian cause, dutifully made a show of supporting the new Yorkist dynasty. She understood that her son, Henry Tudor, was the only Lancastrian claimant still alive. Edward IV, understandably, was determined to gain custody of Henry. In a bid to protect both herself and her son's future, Margaret outwardly supported the house of York. A year after her husband's death, Margaret married for the last time, to Thomas Stanley. This marriage enabled Margaret to reside at court, and she appears to have enjoyed amicable relations with both the king and queen, later serving as godmother to one of their daughters. However, Edward IV's unexpected death in 1483 and the usurpation of Richard III changed Margaret's life forever. Margaret initially signalled her support of the new regime by carrying Anne Neville's train at her coronation, but she wholeheartedly supported the duke of Buckingham's rebellion against Richard III, perhaps with the backing of Edward IV's widow Elizabeth Wydeville. The rebellion was legitimated by rumours that Edward IV's sons had been murdered, perhaps on the orders of Richard III. It was agreed that, if the rebellion succeeded, Henry Tudor would marry Edward IV's daughter Elizabeth of York. However, the rebellion failed and Buckingham was executed. Margaret was stripped of her titles and estates and placed under house arrest; she was fortunate to escape with her life. Above: Thomas Stanley, husband of Margaret Beaufort. Despite this setback, Margaret continued to scheme for her son's accession. Evidence suggests that she had been content to support Edward IV and desired no more than her son's attainment of the earldom of Richmond. However, Margaret may have believed that Richard III was a usurper and perhaps viewed him as guilty of the murder of his nephews. It may have been this that encouraged her to press for Richard's deposition and his replacement with her son. At Bosworth in 1485, Henry Tudor defeated Richard and the final Yorkist king was slain. It was a moment of triumph for Margaret. Her son duly married Elizabeth of York, but Margaret's influence was considerable during her son's reign. Known as 'My Lady the King's Mother', Margaret held property independently from her husband, and she administered justice in the king's name at several courts. Margaret was revered for her education and her piety. In 1502, she founded the Lady Margaret's Professorship of Divinity at the University of Oxford, and three years later founded Christ's College, Cambridge. St John's was founded in 1511. She was politically astute, intelligent and resourceful. Historians have debated the nature of relations between Margaret and her daughter-in-law Elizabeth of York, but irrespective of their true feelings towards each other, the two women cooperated and worked together for much of Henry's reign. Margaret's death in 1509 followed that of her only son, for whom she had schemed and worked to ensure his accession to the throne. Lady Margaret Beaufort deserves to be remembered for her considerable successes. 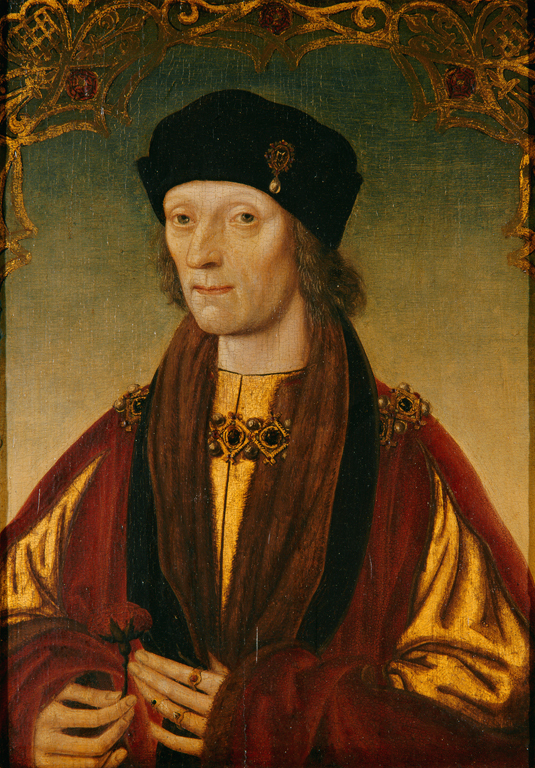 Above: Henry VII, son of Margaret.